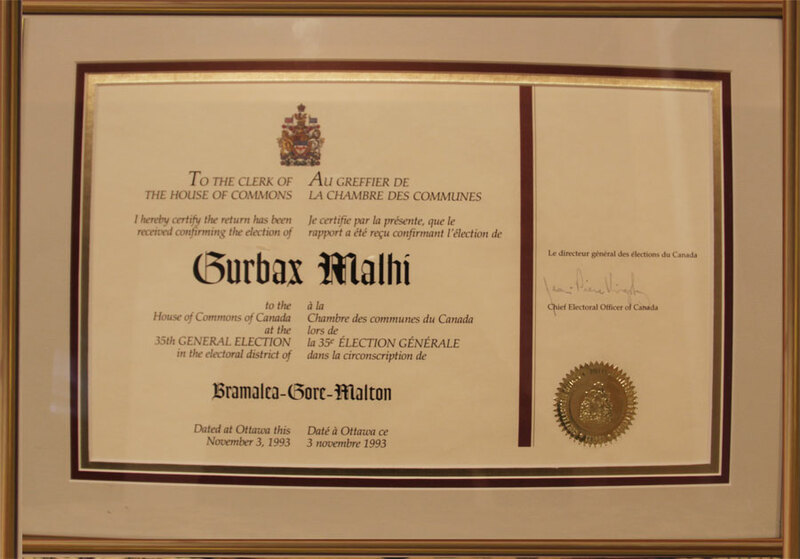 Mr. Malhi was first elected to the House of Commons in the federal election held in the year 1993, defeating Progressive Conservative incumbent Harry Chadwick and Reformer, Darlene Florence in Bramalea-Gore-Malton. Prior to 1993, Canadian law prohibited members of Parliament from wearing headgear of any sort in the House of Commons. Mr. Malhi’s insistence on wearing a turban caused the law to be changed shortly after the election.